It's one of the worst and deadliest scourges impacting mankind. Malaria afflicts 212 million people globally every year and causes 4.29 million deaths. Until now it has been an intractable human disease. But now there is hope. A group of scientists at the University of Hyderabad in India have developed a medicine that effectively kills the parasite infection in red blood cells that's triggered by malaria. It's a polymer based nanomedicine developed by a research group led by Dr. Pradip Paik, Associate Professor of the School of Engineering and Technology at the University of Hyderabad in Telangana, India. 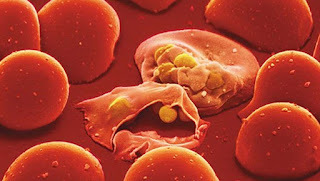 The medicine is very effective in killing the deadly malaria parasite, which triggers plasmodium falciparum infections in the body's red blood cells. It's now going into animal testing. Hopefully, the research done by these technologists and engineers at the University of Hyderabad will provide humanity a cure to this deadly, mosquito born infection. Their initial results look very promising.